EAW004825 ENGLAND (1947). 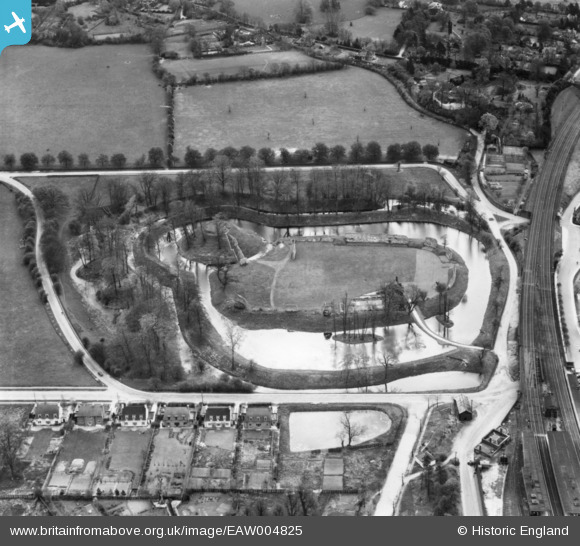 Berkhamsted Castle, Berkhamstead, 1947. This image has been produced from a print. Title [EAW004825] Berkhamsted Castle, Berkhamstead, 1947. This image has been produced from a print. A white diamond shaped plate on the signal post denotes the track adjacent has a "track circuit" which will indicate the presence of a train to the signalman and therefore rule 55 does not have to involve the fireman to have to report that fact in person.